Here it is: another precise yet elegiac evocation of the quotidian in comics form from the surprising Jon McNaught. This quiet controlled volume follows his masterful Birchfield Close (as well as what is, in our opinion, his most singularly impressive work, his seven-page contribution to Graphic Cosmogony, "Pilgrims. "), also published by the London-based NoBrow Publications. 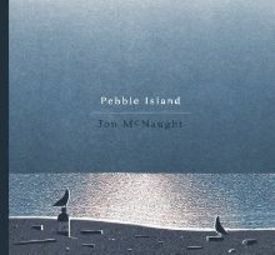 Pebble Island, as its title suggests, presents us with the quiet rhythms of Island life. First off is a simple childhood memory, the presentation of which says so much more than just, "this is what happened." 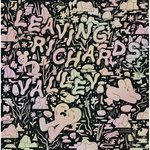 Next up is a small series of single images that form a guided tour of island sites that combines the whimsy of early Rick Geary with the melancholy of Seth. The volume closes with a dense, rhythmic meditation on the intersection of artificial and natural spectacle. McNaught is a master of employing the page layout grid to weight each image with its proper proportion of time and space, as well as its proper location within the series, to create the ideal balance between the elements of each piece and so create the sense of a natural unfolding.